Right ahead, download OnePlus 6T ringtones for your current smartphone. OnePlus 6T is an incremental update to the original OnePlus 6 announced earlier this year. The main change arrives in the form of in-screen fingerprint reader. Further, OnePlus boasts it is the fastest sensor yet. Design aspect of the device remains mostly the same except for the new teardrop shaped notch which is much less intrusive than a large black bar. For loyal OnePlus fans and general users as well, download and install OnePlus 6T ringtones on your current smartphone with the guide ahead. On top of hardware changes, OnePlus has focused on improving software as well. 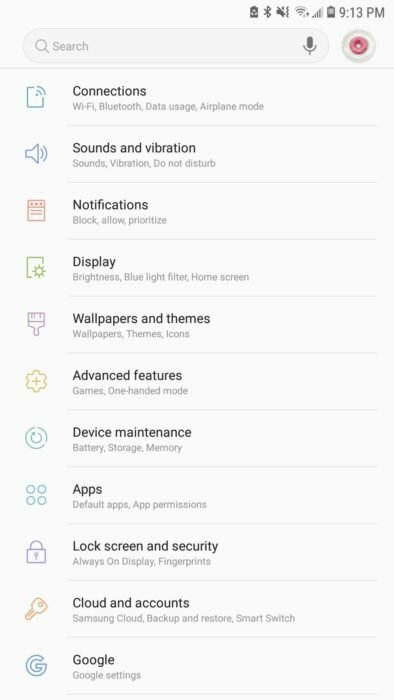 The new 6T ships with Android Pie, OxygenOS 9 which has been vastly enhanced. Part of these new software changes is the new content such as ringtones and wallpapers. Owing to the open approach of Android, users can download and install all ringtones on their current devices without having to root, or perform any sort of system modification. For a complete step-by-step guide, continue ahead for OnePlus 6T ringtones. Each ringtone has been bundled in a single packaged zip file which you can directly download to your PC but preferably directly to your smartphone. The format for these ringtones is standard so your smartphone should have no trouble recognizing it. From the complete set, there are few tones which will work nicely on message / single notification sounds while other would work best in a loop or repetition such as a call notification. The package has alarm tones, notification sounds, ringtones and ui sounds. If you have installed ringtones before, this shouldn’t be different. For new users, we have a detailed guide ahead showing the complete procedure. 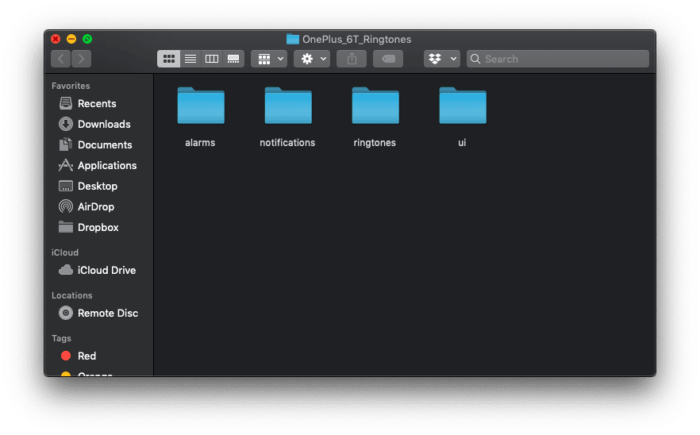 Step 1 – Download OnePlus_6T_Official_Ringtones.zip. Preferably, download this file straight to your phone where you want to apply the new ringtones otherwise you would have to transfer them from your computer. Step 2 – Download and install free RAR client that lets you unzip files. We have found RAR to be the best app available on Google Play Store for this. Step 3 – Browse to the file you downloaded in Step 1 from within the RAR app. Step 4 – Select the file by ticking the checkbox next to it and then click on the top right middle button that has a arrow pointing upwards to extract the file. Step 5 – Now, click on Browse. From here, go to the root folder of your device — top level directory listing, where DCIM / Camera folder is located — and find a folder named Ringtones. If it is not there, you can create it. Once done, your options should look like the screenshot below. Step 6 – Press on OK to extract. Step 7 – Close the app and open your device’s Settings. Step 8 – Go to Sounds and from there select Ringtones. Step 9 – Now, you should be able to see all the new ringtones pop up. 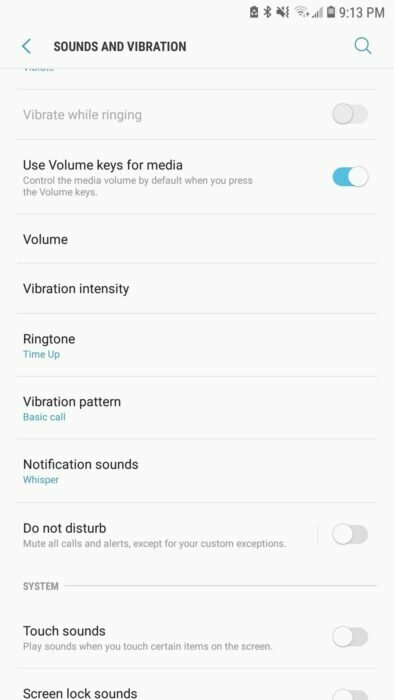 For applying notification sounds, just go back to the main Sounds setting menu and select Notification sounds. That’s about all, now you can enjoy all the new OnePlus 6T official ringtones on your smartphone. Note: It is plausible some ringtones might already be present on your phone, so there might be duplicates. Do let us know in the comments below if you liked these ringtones and alarm tunes. Further, do report if the download link does not work!